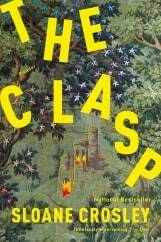 The Clasp is not a perfect novel, but it is as honest as Crosley has ever been. Sloane Crosley’s first novel, The Clasp, captures just about everything that makes her nonfiction so enjoyable. It’s funny, awkward, raw and often tinged with the melancholy of failure and aging. While the essays in her two previous books (I Was Told There’d Be Cake and How Did You Get This Number) obviously feature her own experiences, The Clasp may more personal despite its fictional nature. The Clasp revolves around the pseudo-love triangle of Kezia (an assistant to a burgeoning fashionista), Victor (a malcontented failure of a person and web designer) and Nathaniel (a self-obsessed literature snob turned failing sitcom screenwriter) who come together at their college-friend’s wedding after having been separated for years. This post-collegiate affair turns into a treasure hunt of sorts when Victor is given a drawing of a massive jeweled necklace that may or not have ever existed somewhere in France and heads off looking for it. Kezia and Nathaniel decide to go find their wayward friend as they believe he is driven only by a lecture on Guy de Maupassant’s short story “The Necklace” from back in college. More or less driven by Crosley’s wit, hilarity ensues. Crosley tells this story in three parts, mostly saving the crux of the novel—Victor’s search for the necklace and Kezia and Nathaniel’s search for Victor—for the third act. The opening section acts as an info-dump of sorts that jumps back and forth through time to display these three friendships (or acquaintanceships, as these three aren’t particularly nice to each other). But it is a hilarious info-dump, which cuts the tedium of exposition nicely. Part two sets up the defacto treasure hunt and part three features said treasure hunt. Note the brevity of the previous sentence, we’ll come back to it. It’s Crosley’s sense of humor that drives The Clasp. Everything from the situations in which she drops her characters to the omniscient commentary regarding said situations can be, at times, laugh-out-loud funny. Unfortunately, that humor is strongest in the first section but begins to lose its effect as the pages turn. The laughs will come throughout the entirety of the story, but due to the light plotting and relentless wink-and-smirk narrative voice, it becomes almost inert due to the book’s length and the majority of plot taking nearly 200 pages to get moving. And by that time, it’s difficult to stay invested in anything but the characters because the reading experience suggests that they deserve the attention. The sudden shift from a character-driven narrative to a more or less plot-driven narrative is jarring, but the concept is interesting enough. It never quite gets a good foothold, however, because of how enjoyable the character studies were earlier on in the novel. The plot pales in comparison to the characters when both should work in conjunction with one another. The Clasp’s saving grace, however, is Crosley’s talent with the English language. Her humor can be subtle, blatant, vulgar, sweet, nasty, nice and every aspect of it works perfectly with every other aspect. Every joke, gag and turn of phrase is paced beautifully and steadily maintained. And, because of the humor, the melancholy of failure and aging hurts that much more because of how high the laughs can raise your spirits and how far you can fall into stark reality. That emotional modulation is nearly brilliant. 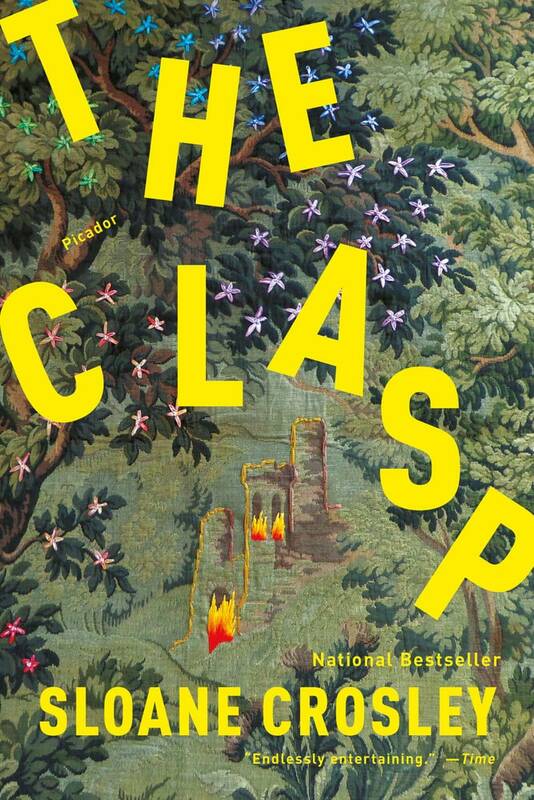 The Clasp is not a perfect novel, but it is as honest as Crosley has ever been. It offers a pleasant reading experience, and it’s most certainly worth a read. Ultimately, it never falters in its portrayal of the hilarity and disappointment of late twenty-somethings and their hopes that the fantastic will come along to pull them from a reality they never assumed would be so boring. While those expectations are fairly ludicrous, it’s difficult not to revel in the emotional ups and downs of crushed optimism. The plot may be light, but The Clasp offers quite a bit more than that.